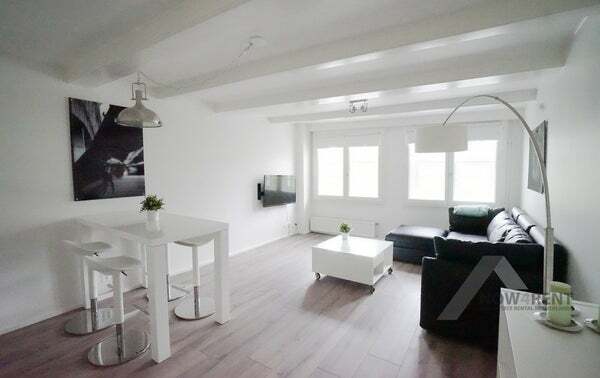 Completely renovated furnished apartment located on the second floor of a beautifully restored building overlooking the unique location of Dam Square. From the apartment you have a fantastic view. The street life of Amsterdam passes by your eyes. Department stores, shops, banks, countless restaurants, bars and terraces, you will find everything in the immediate vicinity. The apartment can be reached via the central entrance by d.m.v. stairs. The living room offers a comfortable sitting room and dining area. The apartment also contains a fully equipped open kitchen. The apartment has a bathroom with bath, sink, toilet, washing machine and dryer. The apartment also has a bedroom. The living room and bedroom are equipped with a TV.